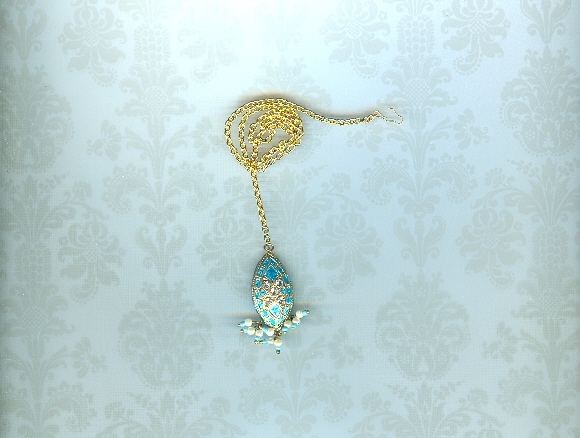 The clear rhinestone studded turquoise and gold Mini Kari bead from India is is a sure-fire attention-grabber. 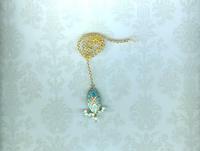 Right now, the chain measures a generous 12-1/2"; but I'll happily shorten it at a buyer's request. 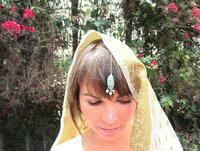 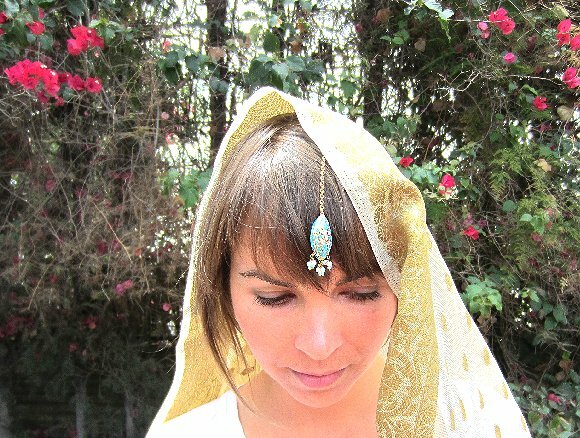 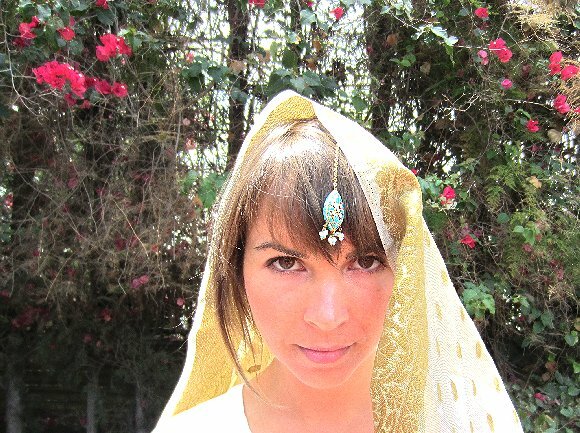 The Indian style headpiece is as charming as it is exotic. 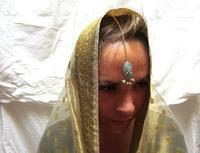 Feel like bollywood royalty when you wear this beautiful headpiece from SPARKLE PLENTY.